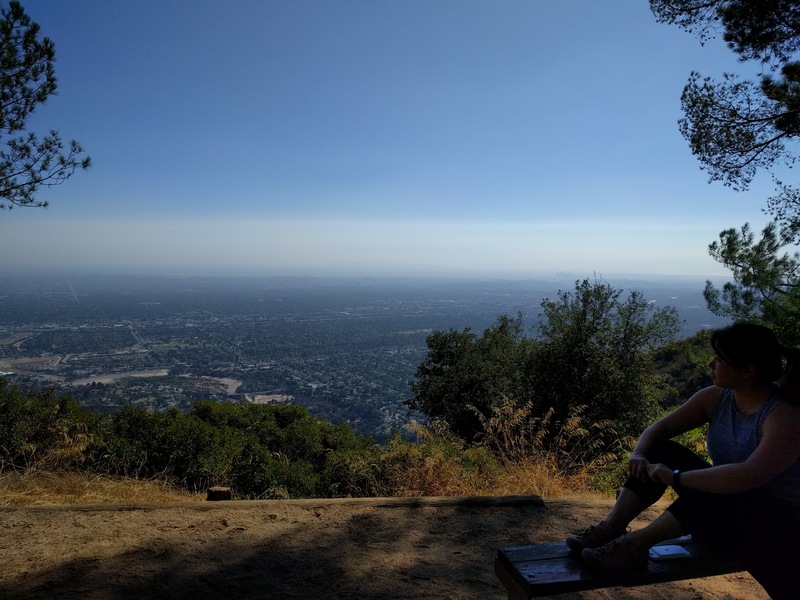 I made it to the Henninger Flats. Granted, it’s not the hardest of hikes. Granted, we started from the bridge and it’s only 3 miles. Granted, I’ve done it before. I made it without my normal huffing and puffing. I made it without feeling I’d exhausted every ounce of energy in my body. I made it without contemplating if I’d be happier if I just threw myself off the side of the mountain. Today, in a moment of spontaneity, I asked Jess if she wanted to hike Henninger. And within an hour, we had started our trek up the mountain, water bottles and Whole Foods sandwiches on our back. Almost exactly a month ago today, I did a similar hike, Linda Falls in Angwin, CA and the outcome was much different. The group I was with looked back at me, concerned if they had to carry dead weight up the mountain. One of the many things I learned from my previous job, from my scrummaster, Greg, was the concept of Kaizen. I mentioned this in my last post. Kaizen can mean a lot of things for different people, companies, but to me, the meaning boils down to what Bob Parsons, founder of GoDaddy, essentially said in the above quote, “continuous improvement“. Jess and I decided to make a concerted effort to exercise every day. It’s been hard; I don’t think a day goes by without some part of my body being sore. And to add insult to injury, although I’ve even cut excess calories from my diet, I’ve managed to gain 4 pounds in the process. today, on the top of the mountain, halfway thinking I could hike another couple miles. I was running around the bases in a softball tournament on Sunday without gasping for air. I was winning the home run derby. A lot of times, it’s tough to improve because it seems like there’s not enough time. Maybe it seems daunting because it seems mountains are too big to hike. But it’s about taking the first steps, starting, slowly filling the bucket of improvement. And before any one realizes, mountains are scaled. I spend less time doing nothing. Simple advice, but difficult to follow. Simple advice, but difficult to follow. I’ve taken this advice and Kaizen to heart and I realized it’s working. I’ve rekindled my passion for learning because I can see my improvements. Lastly, as a programmer, I’ve obviously applied this new look on life to my coding. I’ve made an effort to push at least one thing a day to git. I currently have a streak of about a month. I’ll admit, not every day has been an earth-shattering change to the project I’ve committed to, but here’s a few things I’ve learned. I’m going to be sore tomorrow. When eating elephant, take one bite at a time. I’m going to start writing again. This site started to be my mental outlet. It was a platform for me to process and organize my thoughts. My digital diary. To be honest, I don’t know who reads thisI think I stopped writing because I came to the realization that I didn’t know who was reading the blog. At one time, I had 100s of people hitting this site every day and I was writing some really personal things. Keep in mind that I started this before facebook and instagram, before oversharing was commonplace. Then came the pressure of writing something readable… I started writing for other people, and it stopped being my outlet. Simple stuff like embedding video with html5 video tag (mouseover the second picture in the sidebar). CSS transitions (mousing over the post box will extend a shadow). That’s why you might have notices changes on this site but my kindle was perpetually on fire. Welcome to my digital playgroundBut now, I think is as good of time as any to start writing again. I just left my first real 9-5 (actually 10-8) tech job and I think it’ll be interesting to figure out where I end up next. I’ve always wanted to write about my growth as a cs student/worker because I think it’s a vastly uncertain time for a lot of computer science people. So from here on, here’s the site’s creed. What I write about may not be interesting. Because I won’t focus on anything in particular, this blog will probably go all over the place. But the main topics may involve software engineering, programming, smart phones, android, baseball and tech. By trade, I’m a software engineer. I prefer the backend because it lets me say that I like backend, but I’m comfortable making a mess of the front-end if need be. Java is probably my language of choice. I love it for the beauty that can come from clean, well-designed, object-oriented, strongly-typed, works-everywhere code. I hate it for the verbosity and the pain it sometimes takes to get running. I’m liking node.js for being everything java is not, but disliking it for everything that’s not like java. In my free time, you’ll find me catching a baseball game or really any sport, coding, playing my guitar, at church, eating good food or driving in my car. If you’re looking for more personal things about me, become my friend on facebook, twitter, check out my resume or visit the tumblr run by Jess. If you’d like to contact me, it’s probably best to do it through email. I get email @ gmail.com. … well not exactly, but something is about to explode in it. 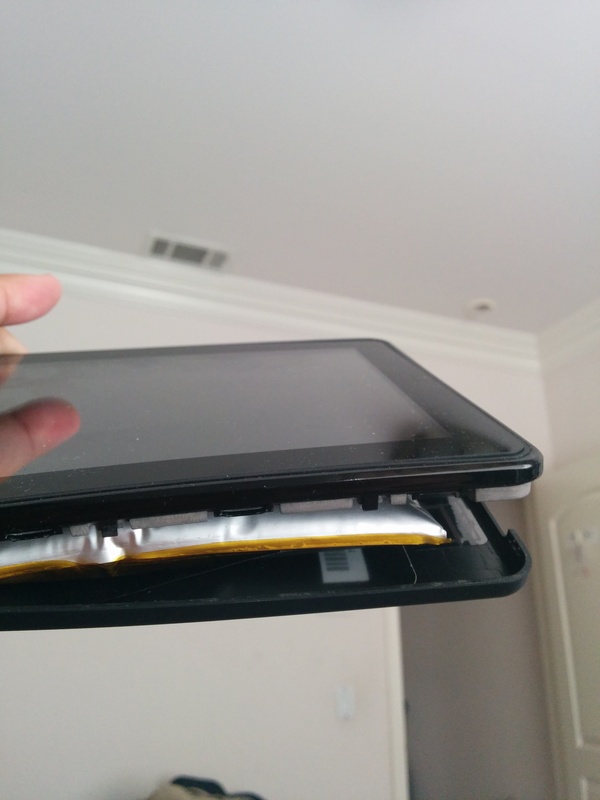 This morning, I found my Kindle Fire had gained a few waist sizes since the last time I saw it. 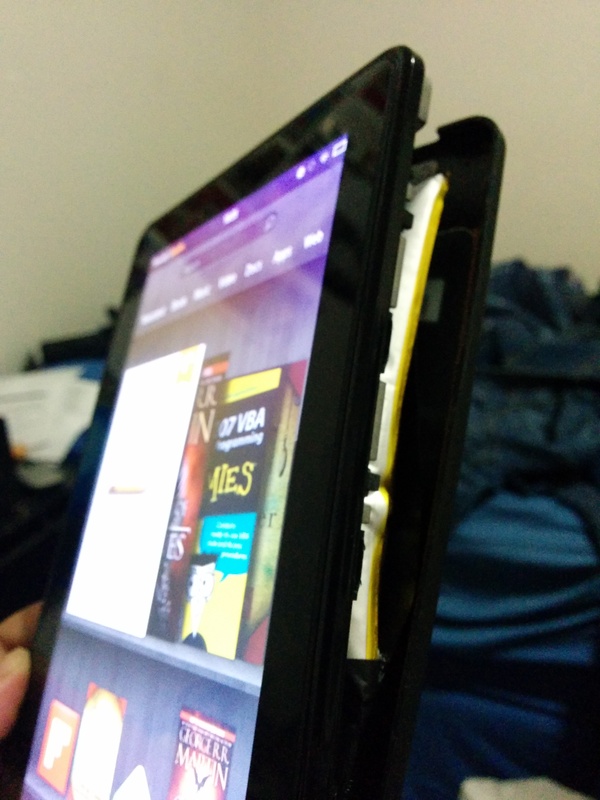 Something had expanded inside the Kindle to the point that it has now separated the bezel. I’m assuming it’s the battery and a quick google search tells me this is a somewhat common issue. It’s the first generation Kindle Fire so it’s no spring chicken, but it still displays content really well and I was still reading books off of it. The Kindle is now emitting a possibly toxic smell that reminds me of Super Elastic Bubble Plastic which you would only know if you grew up in my era. What’s even crazier is that it still works and it still works well. If I was looking directly at the screen I wouldn’t know something was wrong with it. I’m assuming this might have been an issue for a long time but the expansion couldn’t break the bezel until now. So now, I’m not sure what to do with it. I’m sure it’s way passed the warranty so I won’t be able to get it replaced. I’m not going to fix it because it’ll probably cost too much for a 3 year old tablet. And I think if I keep it around it will eventually explode. It’s the end of the second day wearing the LG G watch. It is practically impossible to catch the time at a glance in direct sunlight. This is especially true if it’s on the screensaver mode. I’ve put the brightness to the highest and I still can’t see it. I’m a compulsive time checker while driving to work in the morning. I didn’t realize this until it took extra effort to check what time it was. The step counter has motivated me to walk more. For most of the day, I sit in front of a computer so it’s hard for me to accumulate steps. I ran this morning (albeit not for long) and I still only have 5212 steps now as the evening wanes. I don’t know how I’m supposed to get 10k steps a day. The watch doesn’t pick up random steps while I drive which is pretty awesome. 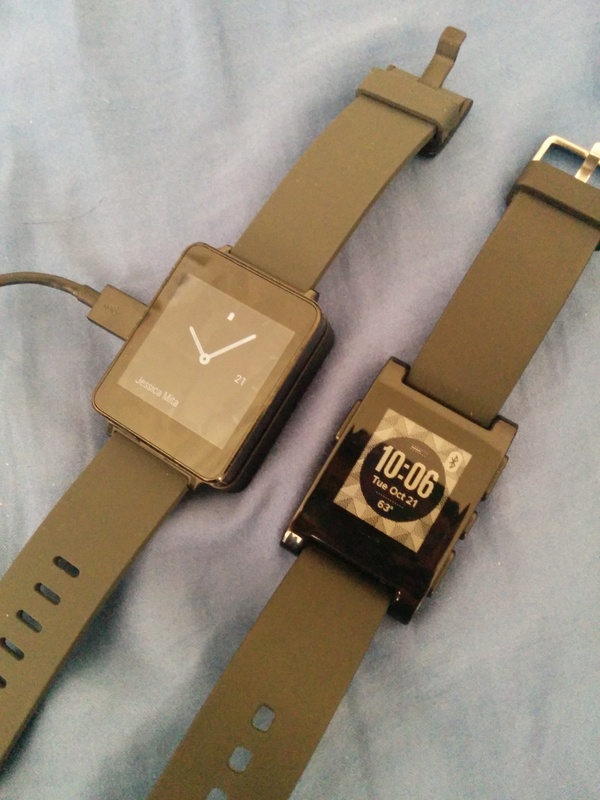 Lastly, one comparison to Pebble: I have this reoccurring thought in my head. A Pebble is a watch that can do some cool things. 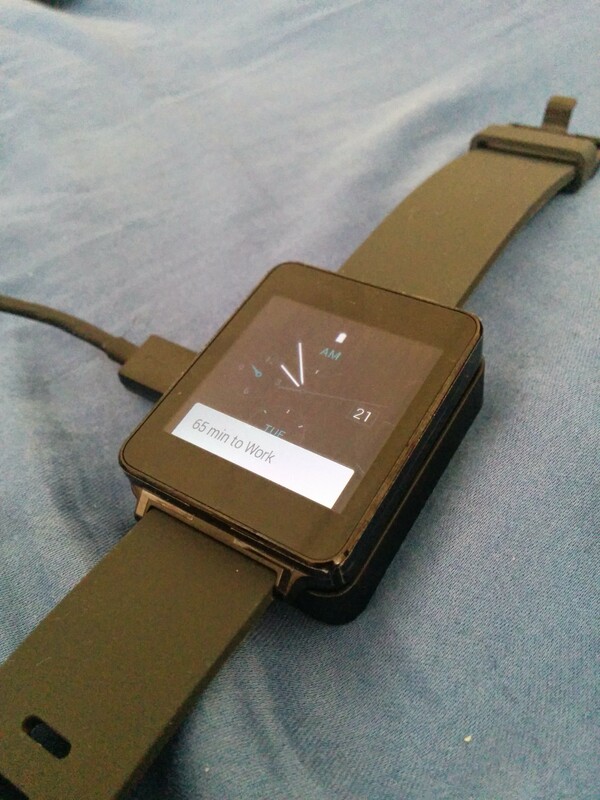 Android Wear is a notification device that can also tell time. I’m getting used to seeing color. It reminds me of when I used to wear my ipod nano as a watch. I wish the OK Google message would go away. I’m sure there’s a setting to get rid of it (.. right?) but I haven’t found it yet. As I was taking pictures of the watch, the watch asked me if I wanted to use it as a camera button. That’s pretty cool. Do I need to take my watch charger to work? years later, while mindlessly typing, my fingers spell out X-A-N-G-A. Jessica says my eulogy is like a blog post so I decided to post it. My grandfather loved to garden. When I was young, I remember going to my grandfather’s house. His house used to be a very large lot down on Lower Azusa. I think I spent most of my time playing computer games on my uncle’s computer, but when I wasn’t doing that, I’d spend my time in the backyard. In the backyard was this large garden. It was endless. I don’t recall ever seeing the back of the garden. This garden was filled with plants and vegetables my grandfather had planted. Though I don’t remember all the plants he grew, I remember he used to have these large sunflowers that I’d always imagine eating. To this day, when I see sunflowers I think of my grandfather’s garden. I know gardening was important to him because when he moved to a new house with no place to garden, he had a small lot in a community garden down in Alhambra. My grandfather must have loved nurturing things. I do remember there being a dog at his house. A Labrador if I’m not mistaken. And I remember at his house on Duarte, he used to have hundreds of birds in the side area. Small birds. I’d sneak inside the walk-in cage and listen to them chirp. They were so loud. Which reminds me, my grandfather was also deaf. If you have never seen my mom talk with my grandfather, you’d be surprised. I think those that work with my mom would know what I’m talking about. 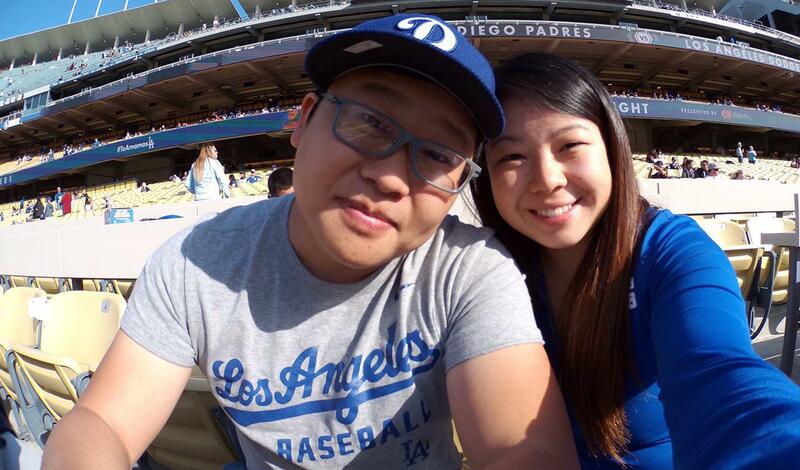 My niece, Megan would say… why is harmi yelling at him. My grandfather couldn’t hear much. I think, in this quiet, my grandfather was given the time to think and reflect on life and… on God. My grandfather was a devout Christian. He would always be carrying a religious book or the bible or the Sabbath school lesson plan. When our family would get together, there wasn’t any question who was going to pray for the meal. My grandfather prayed with much vigor and ferocity. In these moments, I could pick out what he was thinking about, concerns he may have. Later in his years, when he and my grandmother lived in Boyle Heights, I was commissioned by my mom to visit my grandparents every week. I would take food to their apartment and clean the place; take out the trash, clean the bathroom. vacuum. wash dishes. Things like that. I remember him smiling and chuckling that I’d do those things. I did those things the first time I went. Every time I went afterwards, the bathroom would already be clean before I got there. There was only a few things in the trash can, the house already vacuumed. So I’d visit and have nothing to do. I’d find my grandfather usually reading or watching tv. He’d always give me a big smile when I’d come and he would sit me on the couch. I’d say, Harabogi, jar jeen nah say yo? And he’d smile and ask how school was. The conversation would usually end there and I’d spend the next hour watching Korean tv until my grandfather would tell me I should probably head home to miss traffic. This was our normal routine. One time, after my grandmother passed away I was driving my grandfather home after a family party and we were stumbling through another conversation. Between the uhs and hmms and nehs, I just stopped and it became quiet. I said to him, or rather to my dashboard in English, I’m sorry. Harabogi, I know you’re a wise man, and I wish I could talk to you, know what you’re thinking, be able to pick your brain. But my Korean is so bad. I’m sorry. He gave me his smile and the rest of the car ride was quiet. I remember one of the last times I visited him at his house. It was the same routine. Hi Harlbogi, jar jeen nah suh yo.. Etc. But this time he sat me down and said these two things to me that I won’t forget. He said it slowly to make sure I understood. I know you’re into computers. Be careful. It can be a tough occupation. You must try hard. What happened with your girlfriend? (at the time I had broken up with a girlfriend) It’s important to find a Christian girl. At the time I think I found it comical. But in hindsight, I think this was the most important word of wisdom he wanted to give me. To have a family based around Christ. I look at his family. To my aunts and uncle to those they married, to my cousins. It’s filled with elders and deacons and deaconesses. Praise leaders, choir members, small group leaders. People devoted to the churches they attend. I think that’s what made my grandfather smile. Someday I hope to take on his example and have a Christian family like my grandfather’s. I’m saddened by the passing of my grandfather but now he rests peacefully. Next time we meet, I am encouraged to know the conversation will be more than jar jeen nah say yo and we can finally have a deep conversation with each other.